This is an OFFICIAL NASA signed Lithograph. VERY HARD TO FIND ! , and highly sought after. Signed by James Lovell, crew member of Apollo 13 (with Haise and Swigert). but was brought back safely to Earth by the efforts of the crew and mission control. Lovell was also the command module pilot of Apollo 8, the first Apollo mission to enter lunar orbit. He is a recipient of the Congressional Space Medal of Honor and the Presidential Medal of Freedom. and the only one to have flown there twice without making a landing. Lovell was also the first person to fly in space four times. 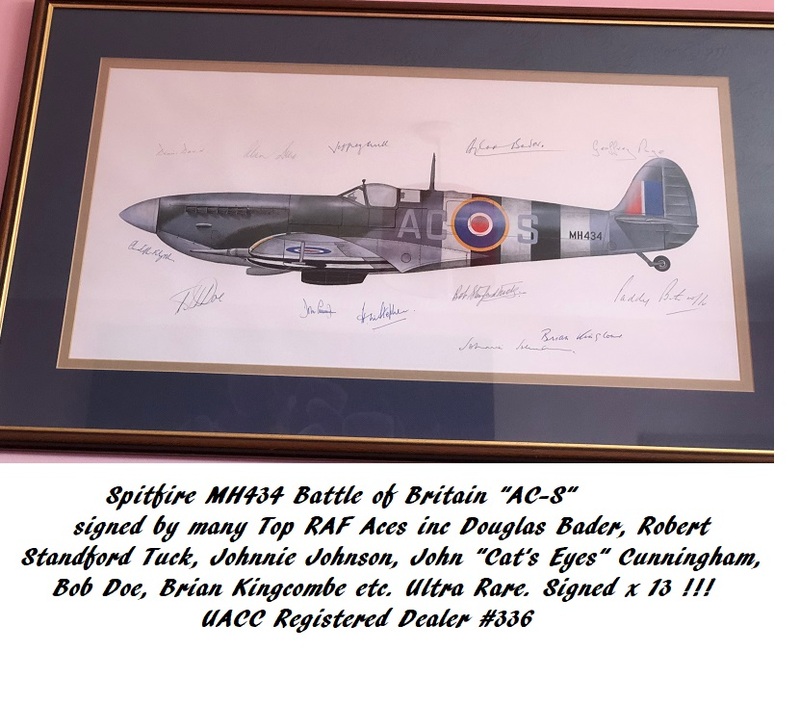 as it was felt the commander of the other crew, Alan Shepard, needed more time to train after having been grounded for a long period. Lovell lifted off aboard Apollo 13 on April 11, 1970 with CM Pilot Jack Swigert and LM Pilot Fred Haise. He and Haise were to land on the Moon. During a routine cryogenic oxygen tank stir in transit to the Moon, damaged electrical insulation on wiring created a spark and started a fire inside the tank. Liquid oxygen rapidly turned into a high-pressure gas, which burst the tank and caused the leak of a second oxygen tank. In just over two hours, all on-board oxygen was lost, disabling the hydrogen fuel cells that provided electrical power to the Command/Service Module Odyssey. This required an immediate abort of the Moon landing mission; the sole objective now was to safely return the crew to Earth. Lovell had to adjust the course two times by manually controlling the Lunar Module's thrusters and engine, using his watch for timing. but unlike John Young and Eugene Cernan, he never walked on it. Apollo 13's flight trajectory gives Lovell, Haise, and Swigert the record for the farthest distance that humans have ever travelled from Earth. This official NASA Lithograph is in fine condition. You will not find a finer example ! 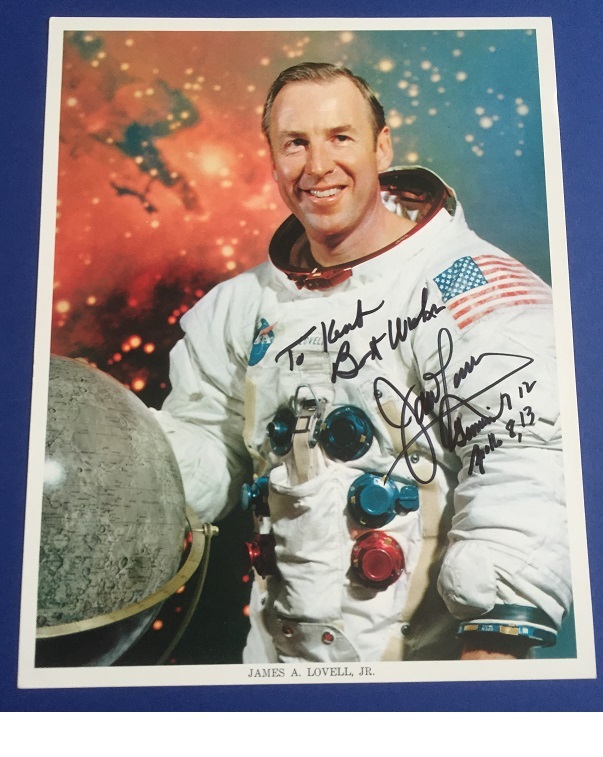 Notify me of updates to APOLLO 13 JAMES LOVELL signed NASA "Houston We Have A problem"